Building blocks of EDM with a twist. An extensive amount of gear was used for the sample pack, including circuit-bent and analogue drum machines, vintage analogue synths such as Moog and Arp, original acoustic drums and other sounds recorded in various professional studios. A variety of digital sound sources were used as well for creating new sounds, such as FFT synthesis, additive/subtractive synthesis, even custom DSP routines coded by Steve Duda in C++. “I actually stumbled across FL studio back in the super early days of the application... i believe it was through a random websearch, I grabbed a demo copy of Fruityloops 1.7 and I've been hooked ever since. First and foremost, I launch FL with the beginning of each little idea I have in my head, whether it’s a fast melody, or a drum groove to start out with”. "Despite the large amount of sample CDs out there, we saw a niche for one geared towards building blocks of EDM with a twist - this one is royalty-free, so it can be used in original productions with no fear of legal repercussions from the original artists who often are sampled on other CD libraries", says Steve. "We tried to make an assortment featuring a variety of sound sources, which aren't overproduced so they can fit into a production workflow without stamping their own flavor on a mix and being overly-recognizable". 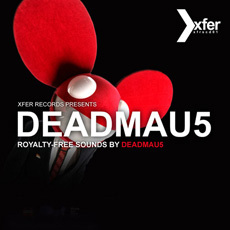 One thing for certain, the sounds of the XFER Sample pack will be featured on dance tracks for decades to come.